The incidence of autism in young children has become increasingly prevalent over the last decade. Only recently has this troubling disability come into the public eye with regularity. Autism is still not fully on the radar, especially for families of color. While the search for answers to the cause and cure of this neurological learning disability continues to baffle leading medical experts. The medical and educational needs of these children still remain severely under-served by the states, the federal government and local school authorities. Clearly, there is not enough being said or done to bring solutions to children and families living with this disability, particularly children, who are often disadvantaged socially and economically. 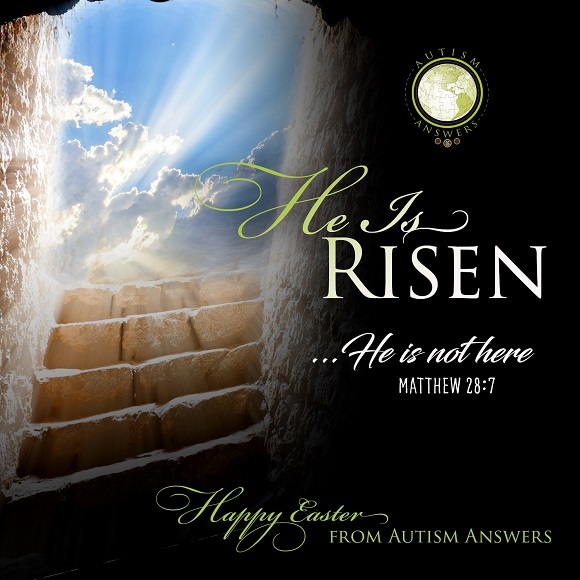 Autism Answers was founded to assist such families and children, and to make our society more aware and responsive to the need for “diversity and inclusion,” in education, medical and legal services for the special needs of these children. 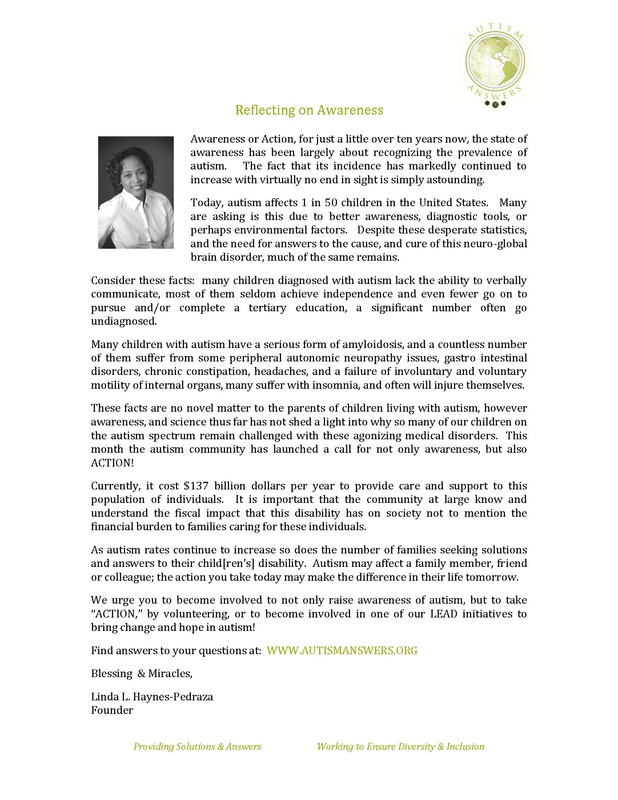 Autism Spectrum Disorders, (ASD's) currently affects 1 in 88 children in the United States, it is estimated that 1.5 million people in the United States are autistic. Four out of every five autistic children diagnosed are boys. Many autistic children require life long care at the cost of approximately four to five million dollars per person. No one knows the cause and there is no proven cure.